A commercial bank is a financial institution that grants loansBridge LoanA bridge loan is a short-term form of financing that is used to meet current obligations before securing permanent financing. It provides immediate cash flow when funding is needed but is not yet available. A bridge loan comes with relatively high interest rates and must be backed by some form of collateral, accepts deposits, and offers basic financial products like savings accounts and certificates of deposit to individuals and businesses. It makes money primarily by providing different types of loans to customers and charging interest. The bank’s funds come from money deposited by the bank customers in saving accounts, checking accounts, money market accountsTypes of Markets - Dealers, Brokers, ExchangesMarkets include brokers, dealers, and exchange markets. Each market operates under different trading mechanisms, which affect liquidity and control. The different types of markets allow for different trading characteristics, outlined in this guide and certificates of deposit (CDs). The depositors earn interest on their deposits with the bank. However, the interest paid to depositors is less than the interest rate charged to borrowers. Some of the loans offered by a commercial bank include motor vehicle loans, mortgages, business loans, and personal loans. Accepting deposits is one of the oldest functions of a commercial bank. When banks started, they charged a commission for keeping money on behalf of the public. With the changes in the banking industry over the years and the profitability of the business, banks now pay a small interest to the depositors who keep money with them. However, depositors also incur administrative fees to maintain their accounts. Banks accept three types of deposits. The first one is the savings deposit for small savers who are paid interest on their accounts. They can withdraw their money up to a limited amount by writing a cheque. The second type of deposit is the current account for people in business who can withdraw their money at any time without notice. Banks do not pay interest on deposits held in current accounts. Instead, the account holders are charged a nominal fee for the services rendered. The last type of deposit is the term or fixed deposits. Customers who have money that they do not need for the next six months or more can save in the fixed account. The rate of interest paid increases with the length of the fixed deposit. Customers can only withdraw the money at the end of the agreed period by writing to the bank. Advancing loans is an essential function of banks since it accounts for the highest percentage of revenue earned annually. Banks mostly offer short-term and medium-term loans from a percentage of the cash deposits at a high interest rate. They do not provide long-term financing due to the need to maintain liquidity of assets. Before advancing loans to customers, banks consider the borrower’s financial status, business profitability, nature and size of business, and ability to repay the loan without default. While granting loans to customers, banks do not provide the loan in cash to the borrower. Instead, the bank creates a deposit account from which the borrower can draw funds. This allows the borrower to withdraw money by cheque according to his needs. By creating a demand deposit in the borrower’s account without printing additional money, the bank increases the amount of money in circulation. Commercial banks serve as agents of their customers by helping them in collecting and paying cheques, dividends, interest warrants, and bills of exchange. Also, they pay insurance premiums, utility bills, rent, and other charges on behalf of their clients. Banks also trade shares, securities, and debentures, and they provide advisory services for customers that want to buy or sell these investments. In property administration, commercial banks act as trustees Reverse Morris TrustA Reverse Morris Trust deal combines a tax-free spin-off with a pre-arranged merger. A Reverse Morris Trust transaction allows a public company to sell off unwanted assets without incurring tax obligations on gains arising from the sale of these assets.and executors of the estate on behalf of their customers. Banks charge a nominal fee for the agency functions performed on behalf of their clients. Apart from the above primary functions, banks also perform several other functions. They provide foreign exchangeCurrency RiskCurrency risk, or exchange rate risk, refers to the exposure faced by investors or companies that operate across different countries, in regard to unpredictable gains or losses due to changes in the value of one currency in relation to another currency. to clients who are in the import and export business, by buying and selling foreign currency. However, banks must get permission from the regulatory body, mainly the central bank, before dealing with foreign exchange. A commercial bank also acts as a custodian of precious stones and other valuables. They provide customers with lockers where they can put their jewelry, precious metals, and crucial documents. Such items are more secure when stored at the bank than keeping them at home where they may be stolen or damaged. A bank loan is an amount of money offered by a bank to a borrower at a defined interest rate for a fixed period. Before granting a bank loan to a client, a bank must obtain several important documents to verify that the borrower will pay back the loan. These documents may include copies of identity, proof of income, and audited financial statements in the case of corporate clients. The loan is granted against collateral that, if the customer defaults, the bank can sell them to recover the money. The collateral may be equipment, machinery, real estate property, inventory, documents of ownership, and other items. A cash credit is an arrangement between the bank and a client, and it allows the client to withdraw money beyond their account limit. The cash credit is advanced for a period of one year, but it may extend to even three years in special circumstances. The amount is deposited in the current account of the borrower and can be withdrawn through cheque. The interest charged on the cash credit depends on the amount of money and duration for which the money has been withdrawn. A bank overdraft is a form of financing that allows the current account holders to overdraw the account up to a specified limit. It does not require any written formalities and clients use the overdraft to meet urgent needs. Interest is charged on the amount that the current account has been overdrawn with and not the full amount of overdraft allowed by the bank. A bank discounts a bill of exchange by providing money immediately to the holder of the bill. The bank deposits the money in the holder’s current account, after deducting an interest rate for the loan period. Once the bill of exchange matures, the bank gets its payment from the banker of the bill holder. Commercial banks are regulated by the central banks in their respective countries. Central banks act as the supervisor of commercial banks, and they impose certain regulations to ensure banks operate within the stipulated rules. For example, central banks make it mandatory for commercial banks to maintain bank reserves with them. 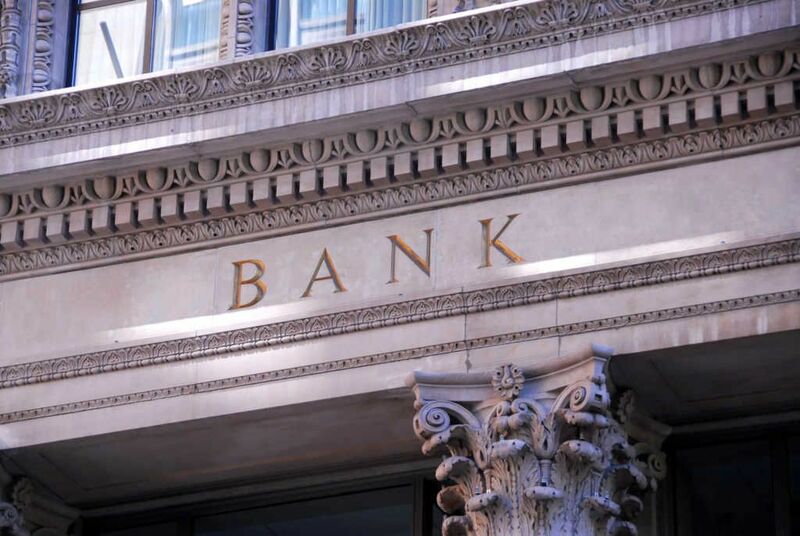 Some central banks set the minimum bank reserves, and this requires banks to keep a particular percentage of their customer deposits at the central bank. The reserves help to cushion banks against unexpected events like bank runs and bankruptcy. We hope this has been a helpful guide to understanding what a commercial bank is. CFI is the official global provider of the Financial Modeling and Valuation Analyst (FMVA)™FMVA™ CertificationThe Financial Modeling & Valueation Analyst (FMVA)™ accreditation is a global standard for financial analysts that covers finance, accounting, financial modeling, valuation, budgeting, forecasting, presentations, and strategy. certification, designed to transform anyone into a world-class financial analyst. Bank RunBank RunA bank run occurs when customers withdraw all their money simultaneously from their deposit accounts with a banking institution for fear that the institution is or might become insolvent. The situation takes place in fractional reserve banking systems where banks only maintain a small portion of their assets as cash.